REAP for the May session Application form has been released. Rajasthan Engineering Admission Process and it is conducted by the Rajasthan Technical University (RTU) Kota. Admission to the first year of B.TECH/BE program in Rajasthan. Entrance exam will not be conducted by the authority. The admission in B.TECH/BE program will be based of JEE Main score or class 12th merit. REAP is a gateway to get admission in various Government and Private technical institutions of Rajasthan). The candidates who are attending counselling can go through this Article which helps the candidate to get the complete information of REAP Eligibility, Important Dates, Application Form, Admissions and Counselling Process. Conducted: In the month of May. Online Application Form Available From 3rd week of May. End Date for Submission of Online Application Form (Rs 700) & Advance Fee (Rs 10,000) will be on the 3rd week of June . Final seat matrix will be on the 2nd week of July. Seat Allotment 1 will be on the 2nd week of July. Seat Allotment 2 will be on the 4th week of July. Availability of Application forms will be from 3rd week of May to 3rd week of June. After the fee submission, candidates will get a transaction code. Then the candidate has to fill the Application Form through Online mode in official website. The candidate has to upload scanned color Passport size photograph and signature in prescribed manner. One time Registration Fee costs Rs 700. It is mandatory to deposit advance fee of Rs. 10,000 to participate in counselling process. The candidates can make payment through Net banking/Credit card/ATM card/ Debit Card. Then the candidate can take a print out of the filled Application form and can be kept for Future Reference. Exam is open to any candidate who has passed the Class 12 qualifying examination with having eligibility criteria as per JEE Mains. The candidates who are appearing for the class 12 or equivalent examination also eligible to apply . The candidates who have not attended JEE Mains, but they have fulfilled eligibility criteria of JEE mains through 12th board percentile, even they are also eligible to apply. Private candidates who have passed 12th or equivalent qualifying exam or are appearing for the exam in the year can apply. REAP is conducted by the Rajasthan Technical University (RTU) Kota. The Selection of the candidate in B.TECH course will be provided on the basis of JEE Main. The candidate will also be selected on the basis of marks secured by the candidate in 12th examination. JEE Main and 12th Board qualified candidates will be getting a chance for Admission for the 1st ROUND of Counselling. First priority will be given to JEE Main 2018 candidates and second priority will be given to 12th board percentile candidates. All admissions will be done based on the merit of the applicant. For Scheduled Caste (SC), the reservation is 16%. For Scheduled Tribe (ST), the reservation is 12%. For Other Backward Class (OBC), the reservation is 21%. For SBC, the reservation is 5%. For Women, the reservation is 25%. For Freedom Fighter/Defense Personnel, the reservation is 3%. For PwD candidates, the reservation is 3%. ROUND 1: This is for Outside Rajasthan Candidates – 15% seats allotted. ROUND 2: This is only for Rajasthan candidates – 75% seats allotted. ROUND 3: Upward movement for Rajasthan candidates who have participated in ROUND 2. ROUND 4: Special Last Round counselling with provision of new Registration. Note: If an allotted candidate of first, second and third round does not report to allotted college or institute then the advance fee Rs 10,000/- (Rupees Ten Thousands only) would be forfeited (penalty). After few weeks of the form submission. The choice filling and locking process will be started. In this process, the candidates have to fill an online option form and they have to choose the streams and institutes in which they want to get the admission. After the process of choice filling, it is necessary to lock the final choices. On the basis of the locked choices by the candidates, the seat will be allotted in order of merit obtained by them. The allotment of seat will be done on the basis of the merit, locked choices & availability of seats. REAP 2019 Result will be declared on the official website. The candidates have to take the print out of the allotment letter from the website. After the seat allotment process has been done, the candidates have to report physically to the allotted center according to the schedule. The candidates have to be present along with the given documents. I want to know about the Admission Process? 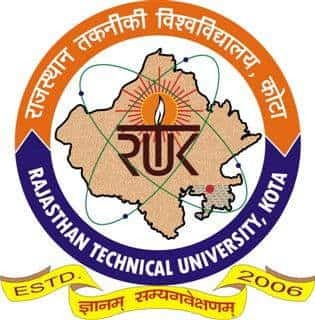 Exam will be organized by the Rajasthan Technical University (RTU) Kota. The candidate’s admissions in Btech program will be mainly based on JEE Main. The Admission process will be also based on the marks secured by the student in 12th class. The candidates who have been qualified in JEE Main exam and 12th Board, they will have the chance of getting admission for the 1st ROUND of Counselling. Admission Process will be done on the basis of the candidate’s merit. I am willing to apply for exam, How should I fill the Application form? Firstly the candidate has to pay the Application form fee, and then they will be getting transaction code. After that Aspirants are required to visit the official website in order to fill the Application form via online mode. The candidates need to fill their complete details. Later, the candidates are required to upload their scanned Photo of Passport size and signature of the prescribed one. The candidates need to keep the copy of filled Application form for the future use. May I know the Eligibility criteria for Btech program? Qualification criteria: the candidates should be qualified in their 12th class from a recognized board with having eligibility criteria as per JEE Mains. The appearing candidates of 12th class can also appear for the exam as per the norms of Eligibility criteria. Aadhaar card is mandatory along with the JEE Main or 12th Board Roll number. I want to know the percentage of seat reserved for the reserved category in Admission process? For ST cadre, the seats reserved are 12%. For SC cadre, the seats reserved are 16%. For OBC cadre, the seats reserved are 21%. In the REAP Admission process, for women candidates, the seats reserved are 25%. For PWD cadre, the seats reserved are 3%. I want to know the Application Form Fee details? Application Form should be filled via online mode. Application Registration Fee costs Rs 700. It is compulsory for the candidates to deposit advance fee which costs Rs. 10,000 in order to participate in counselling process. Payment has to be made via online mode i.e. Credit card/Debit card/Net Banking/ATM card.